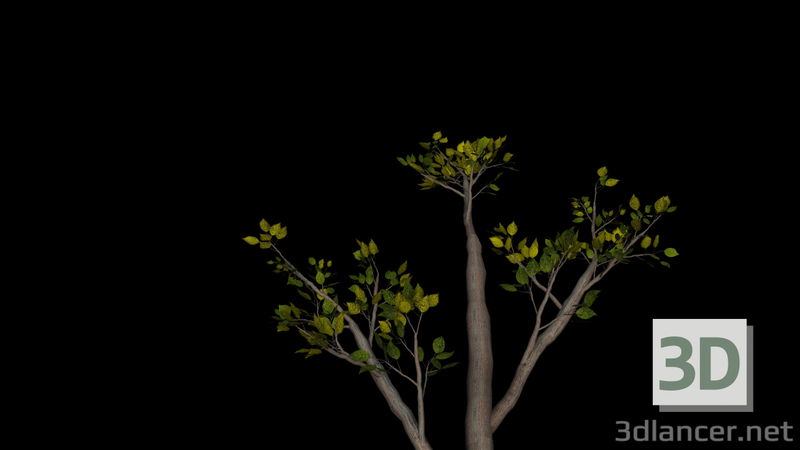 3D-Model A branch of high quality! A branch of high quality. leaves have 3 kinds of yellow, green, dark green. and 6 kinds of form. and more than 50 kinds of size. accordingly, the number of polygons is greater. (for this reason a branch and not a tree since I have a weak laptop for this did not draw more than 5 branches) Attention! pictures are rendered in Maya Hardware 2.0 since the mental ray did not draw from me!